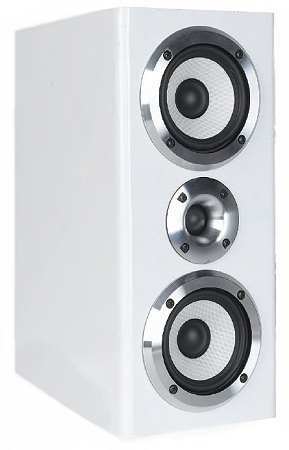 CT 240 - or should we call this speaker Snow White? Apart from this CT240 version there is also a revised CT230 called CT240. Hence, we call this version Snow White. The speaker comprises a Mivoc XGH 258 Alu tweeter and two small XAW 110 bass drivers, surrounding the tweeter. 2 x Mivoc XAW-110 new: now with black cone!